Based on our promise in the GO Passenger Charter, it’s one of our top priorities to keep your commute comfortable and stress-free. We all know good etiquette makes riding with us better for everyone. 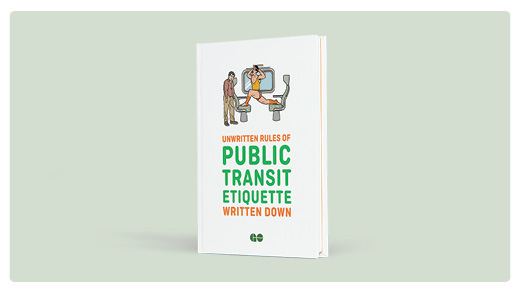 Thanks to you we’ve been able to create the official unofficial book on public transit etiquette. Yes, it’s an actual book. And it’s kind of official. Read the book you helped us write. Together, we can put a stop to bad etiquette on transit! Tweet @GOTransit and tell us what you think is the biggest #EtiquetteFail, or share our video. May your ride be #EtiquetteFail free.